Discussion in 'Downhill & Freeride' started by MADproductions, Sep 22, 2011. 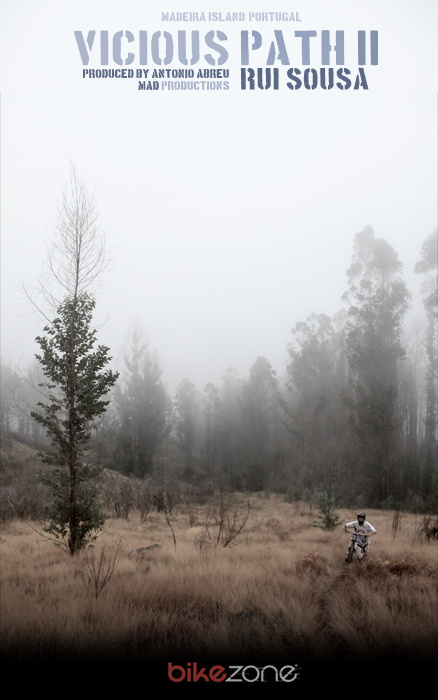 The MADproductions crew is back with another mountain bike Project. &#8216;Vicious Path II&#8217; is the second movie from the &#8216;Vicious Path&#8217; series, with BikeZone. The first movie was about the first vertical meters from Pico do Areeiro till Alegria. Now it&#8217;s time to enter the real forest and enjoy the steep ride in Madeira Island. We live in a small island, and the weather is always changing, it was a good test for our mental and physical capabilities. Who&#8217;s our first choice? Our number one ride rand perfect for this track? Ripping the berms, pinning his bike throw the corners, pedaling like a maniac and offering you a real &#8216;bike show&#8217;. Rui Sousa, he&#8217;s the man ! FAST, AGRESSIVE, and always with Great style. This Project wouldn&#8217;t be the same without his skills, thank you so much my friend. We started talking about this Project at the end of &#8216;Vicious Path I&#8217;, that reached the VOD category in pinkbike. The challenge is always to be the best and try something new and creative. The track is really steep, hard to go up and hard to go down, but, no one cares about that. For sure, it was the hardest project so far for Rui Sousa and for the MAD crew. Thank you so much for the support, BikeZone Portugal, http://bikezone.pt/.